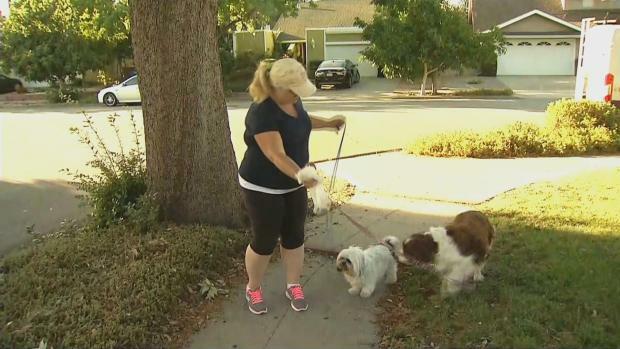 San Jose police are seeking the public's help with their investigation into four separate shootings at occupied vehicles in the city's Blossom Hill neighborhood. 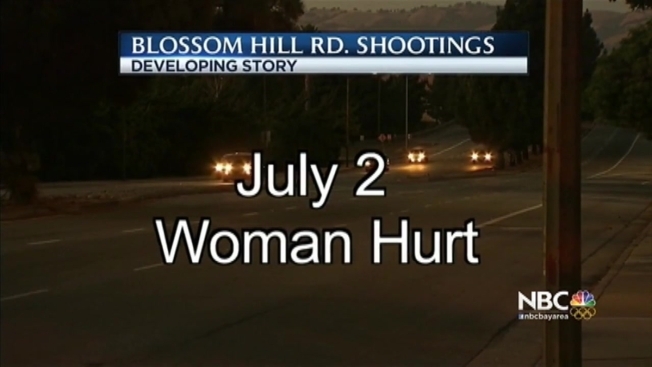 The incidents began on May 4 near the intersections of Blossom Hill Road, Poughkeepsie Road and Monterey Road in South San Jose. Each victim was traveling on Blossom Hill when their vehicle was struck by a single round, police said. No injuries have been reported, and no suspects have been located, police said. The shootings have residents of the area a bit uneasy. San Jose police are seeking the public's help with their investigation into four separate shootings at occupied vehicles in the city's Blossom Hill neighborhood. Terry McSweeney reports. "There's a concern for the neighborhood," said Kenneth Williams. "It's pretty scary, especially if there's somebody on top of a building shooting down at cars." Neighbor Jody Santucci said she hadn't heard of the incidents until Tuesday, and now that she knows, she's worried and a bit sad for the quiet suburban neighborhood. "I grew up in this area," Santucci said. "I've lived here all my life, and it's always been a quiet neighborhood. That's why I'm so surprised. But it's changing, ever since they put in all this new stuff, which I'm not too happy about." The Police Department said it is committing additional resources to address the incidents. Anyone with information about the cases is urged to contact Detective Nathaniel Bennett or Detective Emilio Perez in the department's Assaults Unit at 408-277-4161. Persons wishing to remain anonymous may either call the Crime Stoppers Tip Line, 408-947-STOP (7867), or click the "Submit a Tip" link on the department website. Persons providing information leading to the arrest and conviction of the suspect may be eligible for a cash reward from Silicon Valley Crime Stoppers.